Today we are honouring a hero of Computer Science. I could characterize him as one of the grand old men in Electronic Design Automation. But I will not. First of all Prof. Daniel Gajski is not an old man at all and on the other hand people may think that by grand I want to characterize his tall appearance. So I prefer to call him a hero. Daniel D. Gajski did receive his Diploma in Engineering and his Master of Science degree in Electrical Engineering from the University of Zagreb, Croatia. In 1974 he did receive his Ph.D. in Computer Science from the University of Pennsylvania at Philadelphia. Now he was ready for major impacts on computer industry. For 10 years he was a practitioner in the areas of digital circuit design, super computing and VLSI design. The results were convincing but for a genius like Prof. Gajski the perspectives in industry do not reach far enough. So he decided to join academia again. And of course not just academia but one of the most prestigious universities in computer science: the University of Illinois at Urbana-Champaign. Finally he contributed substantially to the high reputation of the Information and Computer Science Department of the University of California at Irvine. Here he holds the Henry Samueli Endowed Chair in the Departments of Electrical and Computer Engineering and Computer Science and is founder and director of UCI's Center of Embedded Computer Systems. Due to his pioneering contributions to VLSI design, to System Level Design and for his work on CAD tools he was appointed IEEE Fellow. I remember very well when in the early nineties he used a party at my home in Paderborn to test the reaction of a European audience to his ironical dinner speech given some days later at EURODAC in Hamburg. This speech was entitled "Publish or Perish: The Easy Way". No other person could have given such an ironical speech better than Daniel Gajski. He always tried the hard way! The scientific fields where Prof. Gajski made substantial contributions are manifold and his achievements are highly impressive. At Urbana-Champain, he concentrated his research on parallel processing and computer architecture. He was the principal architect of the CEDAR machine, the leading US supercomputer project at that time. There were only few remarkable scientific papers in the field of supercomputer architectures at this time that did not reference the research carried out by Prof. Gajski. In the sequel Daniel Gajski concentrated his research on the design process of digital systems. His achievements cover many aspects of this area. He especially contributed to formalize and automate the design process, from specification down to implementation. These efforts have later been extended by him towards embedded systems. His development of modeling techniques, design languages, and algorithms to support specification, analysis, validation and synthesis of embedded computer systems has substantial impact on the entire field. Daniel Gajski is an outstanding visionary. This enabled him to discover fundamental principles in the design of digital systems. Once he complained that the most cited of his numerous publications is this one with the least content. He meant his famous article where he introduced what is known as Gajski's Y-diagram today. With that assessment of his article, however, he was unnecessarily unpretentious. Before Gajski's Y-diagram has been introduced there was a great confusion and fruitless discussions about structuring the design process and the documents produced during this process. Just by ordering the documents in two orthogonal aspects, namely levels of abstraction and views he succeeded to sort out the chaos. He identified the fundamental views of behaviour, structure and geometry and initiated a discussion about the levels of abstraction to be considered when designing digital systems. This contribution was a great achievement in an academic sense. From now on it was much easier to teach students how to design digital systems; it became much easier to identify research areas und uncovered research challenges. Even more important: this result allowed the design automation industry to develop so successfully. As there was a general agreement now, which type of documents have to be produced during the design process and how these documents can be categorized it also became much clearer what type of tools are necessary to create these documents. As a result the design of digital systems is categorized and harmonized in a way much superior to most other engineering disciplines. When people use digital electronics as the example of rapidly developing technology: the principle driving force is design automation. And design automation needs well understood principles and categories. So it was just this little article by Dan Gajski which did light the fire! Daniel Gajski's did not just light the fire, he also fuelled it substantially. During the last three decades he achieved pioneering results. He was a principal contributor to the areas Silicon Compilation, High-Level Synthesis, and System-Level Design. In the eighties Daniel Gajski made major contributions in the development of Silicon Compilation. This was the first time when digital circuits have been developed based on a formal specification. In those days this approach was completely novel. It became the starting point of electronic design automation as used everywhere in industry today. In the late eighties Daniel Gajski became one of the main pioneers in creating the research area of High-Level Synthesis. Following his strict scientific way of thinking he introduced very clear definitions of problems to be solved, developed new algorithms and implemented successful prototypes. He was well ahead of the general development. Concepts of High Level Synthesis are entering industrial application just now; more than a decade after Dan Gajski's pioneering work. The "Interactive Synthesis Environment (ISE)" may serve as an example. It was developed under the leadership of Dan Gajski, introduced successfully to the market and finally resulted in founding YExplorations, Inc., a start-up company that develops advanced High-Level Synthesis tools and brings them to market. In the early nineties Daniel Gajski moved his concern to the completely new area of System-Level design. He created new approaches for an integrated development of HW-/SW-Systems. Together with his research group he developed the so called "100-hour design cycle", which resulted in a tremendous enhancement of productivity and design time reduction. For this purpose Dan Gajski developed the first generation of system level design languages and tools: SpecCharts and SpecSyn. They successfully addressed the new challenges of system level design. Prof. Gajski never rests content with achieved results. So in the late nineties he developed a second generation of System-Level Design methods und tools, now based on the C-language. At the same time these techniques allow reuse of design components (IPs or COTs) in a well structured manner. Daniel Gajski is Spiritus Rector and leader of a research team that developed the language SpecC and the design method based on this language. This language definition had a worldwide impact on both, academia and industry. In 1999 a couple of leading companies created the SpecC Technology Open Consortium (STOC) in order to further and standardize the SpecC technology. Today STOC is formed by more than 30 universities and more than 30 companies, including INTEL, Motorola, NEC, Sony, Toshiba, and Yamaha. Concepts and results of Dan Gajski can be found also in other leading System Level design languages and design flows, as widely accepted in industry. The SpecC language as well as its methodology is cited as reference and inspiration for the development of SystemC, which currently is mostly used in System Level design. In addition a couple of newly founded companies (e.g. InterDesign Technologies, Inc. in Japan) rest on SpecC technology. Daniel Gajski is founder and director of the Center for Embedded Computer Systems (CECS) at the University of California at Irvine. CECS is a leading research institute for embedded applications in the automotive, communications and medical areas. Currently CECS consists of 22 faculty members and 70 graduate students in the fields of Computer Science, Electrical Engineering, Aerospace, and Medical Science. We at Heinz Nixdorf Institute in Paderborn are proud that a formal cooperation agreement of our two institutes shows the signature of Prof. Gajski. In his academic career Dan Gajski was advisor of more than 30 Ph.D. students. In the mean-time they became either professors at prestigious universities or went to leading companies of the EDA industry like Synopsys, Cadence, Mentor Graphics. In most cases these former students of Dan Gajski became key persons in their companies. There is no serious person of the academic or industrial community in the EDA field that does not know Prof. Gajski. As a consequence the invited talks, key note addresses, and tutorials given at prestigious conferences or for leading companies cannot be counted. In addition he has been invited to innumerable panel discussions and guest lectures. It is not surprising that he was chairing the program committees of more or less each serious conference in the field and was reviewer for all major conferences, journals, and book series. His advice has been asked for by the government and by companies.
" (Englewood Cliffs, NJ: Prentice Hall, 1995) used worldwide at universities for teaching digital design. Dan Gajski's books have been translated into many languages and are highly acknowledged as leading books of the respective areas. 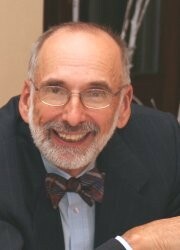 In addition to his books Dan Gajski published more than 200 papers in leading journals and conferences. He received a couple of best paper awards and nominations. He is holding five patents in the area of computer design. A couple of standardisation committees have been chaired by him or he was member of them. It is not surprising that Dan Gajski received numerous research grants during his professional career. To sum up: Prof. Daniel Gajski made fundamental contributions to the state of the art in the field electronic design automation. A great impact on the way how digital HW/SW-systems are designed today in theory and practice can be observed. 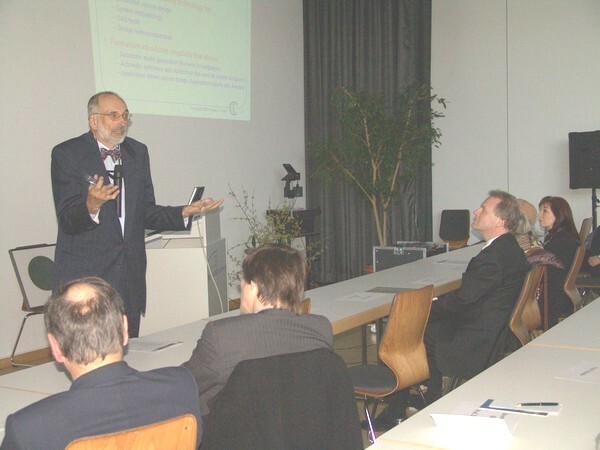 The Carl von Ossietzki Universität Oldenburg is just the right place to honour Prof. Daniel Gajski by a philosophical doctor for honour's sake. There are long lasting research connections, especially to the group of Prof. Nebel. Dan Gajski gave a couple of talks here in the informatics colloquium and gave substantial advice to a couple of Ph.D. students in Oldenburg. Teaching in technical informatics at the University of Oldenburg is heavily influenced by the results of Dan Gajski's research. Prof. Daniel Gajski and honourable representatives of the Carl von Ossietzki Universität Oldenburg: I would like to congratulate both; Prof. Daniel D. Gajski for his philosophical doctor degree for honour's sake and the University for being honoured at the same time by such an outstanding scientist among its laureates. 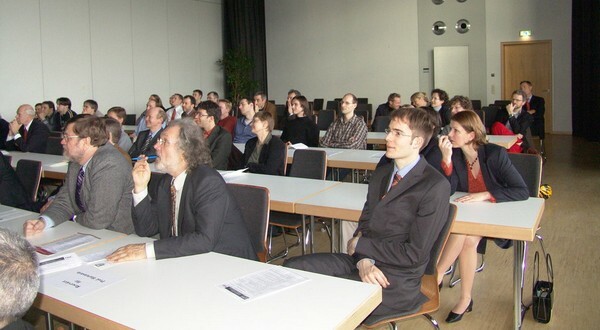 The audience carefully listening to professor Gajski's lecture. Daniel D. Gajski received the Dipl. Ing. and M.S. degrees in Electrical Engineering from the University of Zagreb, Croatia, and the Ph.D. degree in Computer and Information Sciences from the University of Pennsylvania, Philadelphia. After 10 years of industrial experience in digital circuits, switching systems, supercomputer design, and VLSI structures, he spent 10 years in academia with the Department of Computer Science at the University of Illinois, Urbana-Champaign. Presently, he is a Professor in the Department of Information and Computer Science and the Department of Elactrical and Computer Engineering at the University of California, Irvine. His research interests are in embedded systems and information technology, design methodologies and e-design environments, specification languages and CAD software, and the science of design. He is editor of the book, Silicon Complication (Reading, MA: Addison-Wesley, 1988), a co-author of the books, High Level Synthesis: An Introduction to Chip and System Design (New York: Kluwer-Academic, 1992) and Specification and Design of Embedded Systems (Englewood Cliffs, NJ: Prentice Hall, 1994), and the author of Principles of Digital Design (Englewood Cliffs, NJ: Prentice Hall, 1995). Research in Computer Systems Design addresses the various aspects of bridging the gap between the demands of new applications and available technology. The CSD concentration is designed to produce computer scientists with an increased awareness of the demands imposed on computers by the application domains which have traditionally been viewed as extrinsic to computer science. This application sensitivity will give students a unique advantage in the increasingly important area of integrated software/hardware computer and information systems and will prepare them to meet the challenges of real-world problems. The CSD research paradigm prepares our students to conceptualize a system design, prototype it and take it all the way to an efficient system implementation with the right balance of hardware and software components. I am working on many aspects of Design Science studying design process from specification to manufacturing to business models. My students and I have developed new methodologies for design process, and techniques for specification modeling of embeded computer systems. I am also working on specification languages and algorithms for design partitioning, estimation and synthesis of software and hardware. My research group has developed a methodology for 100 hour design process which improves design by 2 orders of magnitude. Presently we are developing a new IP-centric methodology for specification and design of embedded systems. I have published several books on the subject including the undergraduate textbook on principles of design. I am particularly interested in requirements and specifications of embedded systems and the design process that leads from an executable specification to the final manufacturable blueprint. In order to study the design process, my group is developing new specification languages, modeling guidelines and simulation and synthesis tools. In order to obtain efficient specifications and design models we are taxonomizing models of computations, computer architectures and design styles. In order to develop efficient CAD tools we are studying synthesis algorithms for systems, architectures, processors, controllers, datapaths, and other intellectual properties (IPs). Our further goal is to build proof-of-concept tools and prove our methodology and tools on extensive industrial strength examples. With complexities of Systems-on-Chip (SOCs) rising almost daily, the design community has been searching for a new methodology that can handle given complexities with increased productivity and decreased time-to-market. The obvious solution that comes to mind is increasing levels of abstraction, or in other words, increasing the size of the basic building blocks. However, it is not clear what these basic blocks should be and what should be the strategy for creating a SOC out of these basic blocks. To make things more difficult, the difference between software and hardware is becoming indistinguishable which, in turn, requires sizable change in the industrial and academic infrastructure. In order to find the solution, we will look first at the system gap between SW and HW designs and derive requirements for the system design flow that includes software as well as hardware. In order to enable new tools for model generation, simulation, synthesis and verification, the design flow has to be well defined with unique abstraction levels, model semantics and model transformations that correspond to design decisions made by designers. We will introduce the concept of model algebra that supports this approach and can serve as an enabler for the extreme makeover of system design and , consequently, system industry. We will support this concept with hard data and finish with a prediction and a roadmap toward the final goal of increasing productivity by several orders of magnitude while reducing expertise level needed for design of billion-transistor systems to the basic principles of design science only. Daniel Gajski, a leader in the areas of embedded systems, design methodologies and languages, headed the research teams that created new design concepts, methodologies, tools and languages. 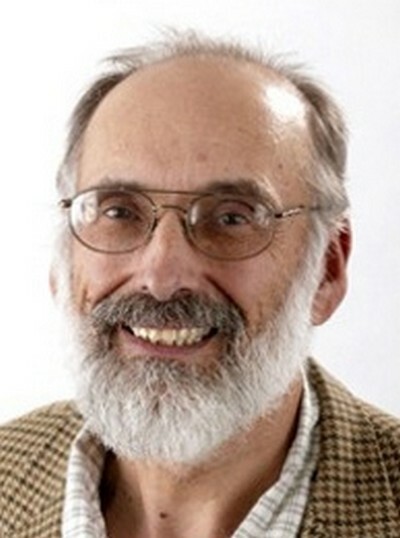 He was instrumental in developing formalisms such as Y-chart, and numerous algorithms for high-level synthesis, the definition of the control-data-flow-graph (CDFG) and finite-state-machine with data (FSMD), system level languages such as SpecCharts and SpecC, and design tools such as SpecSyn and Embedded-System Environment. Many of these concepts have been adapted by academia and industry in the last 25 years. Gajski directs the Center for Embedded Computer Systems, with a research mission to incorporate embedded systems into automotive, communications, and medical applications. He has authored over 300 papers and numerous textbooks, including /Principles of Digital Design/ (Englewood Cliffs, NJ: Prentice Hall, 1997) that has been translated into several languages. He holds Dipl. Ing. and M.S. degrees in electrical engineering from the University of Zagreb, Croatia, and a doctoral degree in computer and information sciences from the University of Pennsylvania, Philadelphia. He has spent 10 years on advanced design and development working for Ericsson and Univac before joining academia. After 10 years as Professor at University of Illinois at Urbana-Champaign he has joined UCI, where he presently holds The Henry Samueli Endowed Chair in Computer System Design. produces correct results, anybody can make a model and do simulation. To synthesize and verify, we have to understand what that model means. Therefore, synthesis and verification imposes much stronger requirements on the language, on the tools, and everything else. Therefore, the only way to solve this problem is to have some fixed levels of abstraction and their meaning, which is semantics, so that I know what you mean when you write a + b. Syntax is not enough. Consider VHDL: it is a simulation language, and it really is not synthesizable. However, after ten years of messing around, we have a VHDL subset, in fact, many subsets introduced by different EDA vendors, which are synthesizable. To avoid this mess for the coming next 10 or 15 years, let us now define a synthesizable subset and not expand it. Then we will have one language that's synthesizable, verifiable, and simulatable. Professor Daniel Gajski is honorable member of the Croatian Academy of Engineering (Akademija tehničkih znanosti Hrvatske).